This past Shabbat, chanichim from around Chicago gathered for the annual Taste of Moshava Shabbaton. Highlights included an authentic Moshava style kabbalat shabbat, zemirot and night tochnit. The shabbaton was headed by Rosh Moshava Rachel Shandalov, Director Josh Zwelling and Assistant Director Shira Kroll. Shira (Biber) Kroll has been coming to camp for twenty consecutive summers. In the past few summers she has been Assistant Director, Rosh MIT and Rosh Sport. Shira also works at the Associated Talmud Torahs as a Government Program liaison, working to secure government funds for Chicago area day schools. Rabbi Danny Kroll started coming to Camp Moshava as a chanich in 1995 and hasn’t missed a summer since. This will be Rabbi Kroll’s fourth summer as Rosh Machal. In the past few years he has also served as Rosh MIT, Rosh Moshava and Rosh Kollel.  Rabbi and Mrs. Kroll will be in camp with their two daughters Rayli and Talia. When he’s not at camp, Rabbi Kroll is the assistant rabbi at Congregation KINS of West Rogers Park in Chicago, and a teacher at Ida Crown Jewish Academy. This will be Avi Matanky’s 22nd summer in camp. Avi, who;s favorite meal at camp is sloppy joe’s, was Rosh Avodah last summer and is thrilled to be up on The Hill. Avi is a student at Yeshiva University’s Sy Syms School of Business and is a proud member of the National Board of Bnei Akiva of the US & Canada. See Avi in this MachT”A Moment from when he was a Madrich on Avodah. The 2012 Taste of Moshava Shabbaton in Chicago begins Friday, January 27th. Click here for the full schedule of the weekend’s activities. Adir Pinchot and Sarah Bayer will be your sganim this summer for the second session of machaneh. Adir and Sarah have both been coming to camp for many years and are sure to be a fun, energetic and exciting duo that both the tzevet and chanichim will look up to. Adir, who was in our Kollel last summer, is now in his second year of study at Yeshivat Hakotel in Yerushalayim. Sarah will be returning to Machaneh after a successful summer as a madricha on The Hill. Sarah recently began Stern College for Women after a year and a half of study at Midreshet Moriah in Yerushalayim. Madricha Machal, Rosh Shekem, Madricha Avodah and Madricha Mach- Hach. It’s been an incredible month of prizes and giveaways. In our final raffle, the Gladstein family of Seattle has won a beautiful bracelet, compliments of Fuenfer Jewelers in Skokie, IL. If you still have raffle fever, enter our Dvar Torah Raffle for a chance to win free shekem.